This periodic table trends quiz tests how well you understand periodic table trends or periodicity of the properties of the elements. These are trends of atomic radius, ionization energy, electron affinity, and electronegativity. It is a 10-question multiple choice chemistry quiz, with one correct answer per question. You may wish to refer to the periodic table to answer the questions. If you click the table, you can view it at full resolution. This chemistry quiz tests how well you understand periodic table trends or periodicity of the properties of elements in the periodic table. These trends are trends of atomic radius, ionization energy, electron affinity, and electronegativity. It is a 10-question multiple choice quiz. Based on periodic table trends, which of the following elements has the largest atomic radius? Which of the following elements has the smallest atomic radius? Which of the following elements has the lowest ionization energy? Which of the following elements has the greatest electron affinity? 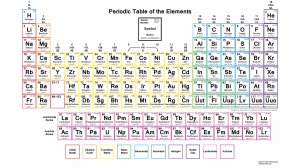 Which of these elements has the highest electronegativity? As you move left to right across the periodic table, which of the following is generally true? 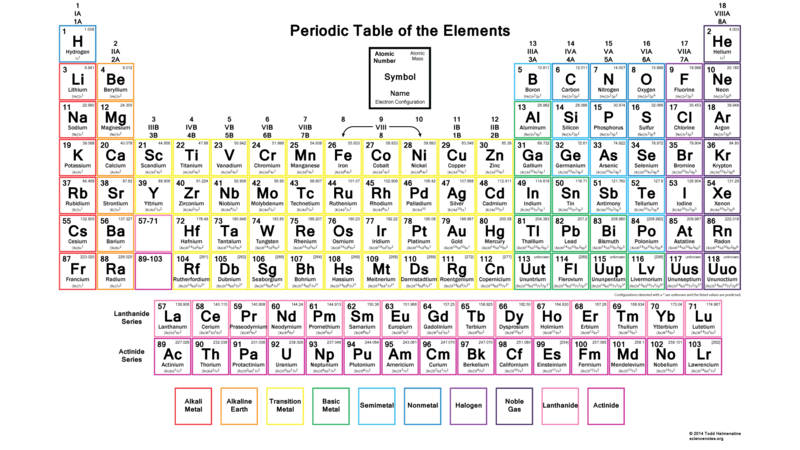 As you move down a column of the periodic table (top to bottom), which of the following is generally true?